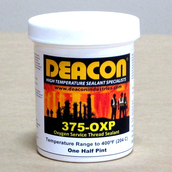 For use on: Threads, Flanges. 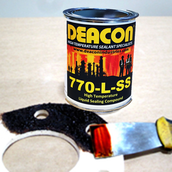 Paste Sealant. 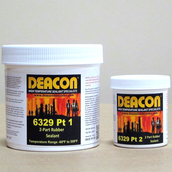 Heat Curing Compound, Fibered Peanut Butter Consistency, High Chemical Tolerance, Trowel on or Caulk. For use on: Turbine Split Casing, Pump Casing, Boilers: Doors, Stacks, Flanges, Heat Exchangers, Any Metal-to-Metal Joints, Leaking Gaskets, Threaded Fittings, Steam Traps, Sight Glasses, Nuts & Bolts, Gasket Dressings, Segmented Gaskets. 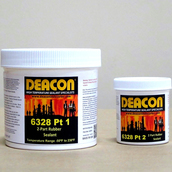 Paste Sealant. 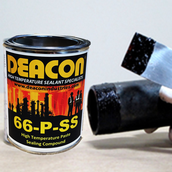 Heat Curing Compound, Peanut Butter Consistency, Fast-Setting, High Chemical Tolerance, Trowel on or Caulk. 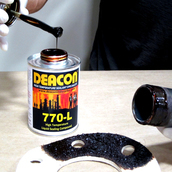 For use on: Threads, Flanges, Gasket Dressings, Exhaust Systems, Any Metal-to-Metal Joints, Pressure Vessels, Segmented Gaskets. 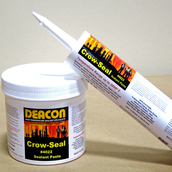 Paste Sealant / Adhesive. Air dries in 1 hr. then a full cure requires gradually increasing the heat to 500°F. Hard setting, Not recommended for Water or Steam. 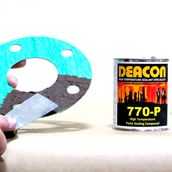 For use on: Threads, Flanges, Ductwork, Any Metal-to-Metal Joints. 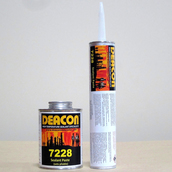 Commercial Grade Clean Liquid Sealant. 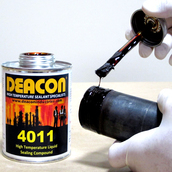 Heat Curing Compound, Honey Consistency, High Chemical Tolerance, Includes Full Batch Analysis Report for Low Melting Point Metals, Halogenated Compounds, Sulfur and its Compounds, Brush on. 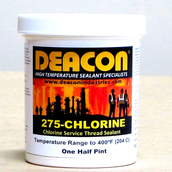 Chlorine Grade PTFE Thread Sealant. Chlorine Service, Non-Hardening, Self Lubricating, Corrosion Inhibiting, Non-Seizing, Easy to Apply. 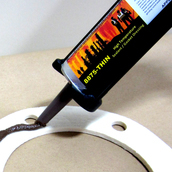 Oxygen Grade PTFE Thread Sealant. Oxygen Service, Non-Hardening, Self Lubricating, Corrosion Inhibiting, Non-Seizing, Easy to Apply.